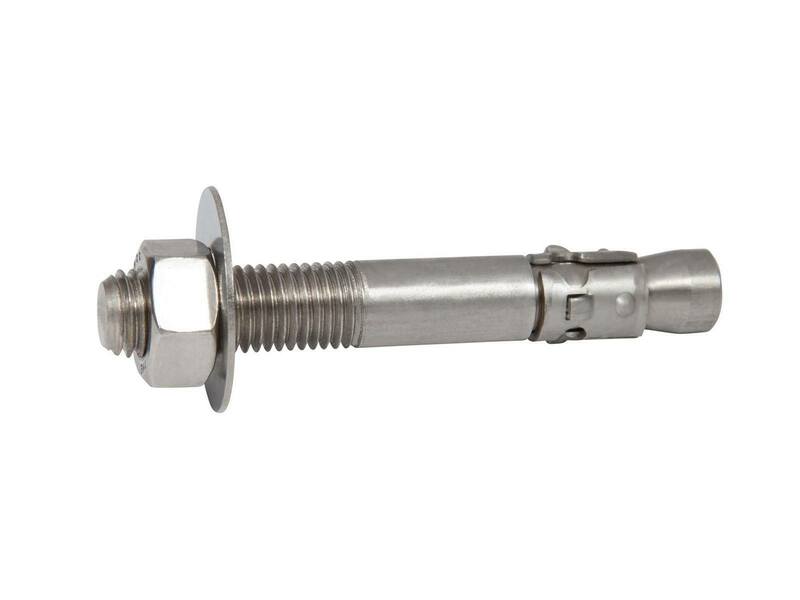 Bit Size 1/2" Minimum Embedment 2-1/4"
The American made 1/2" x 5-1/2" (three one six) 316 Stainless Steel Thunderstud Anchor (25 pcs per box) are designed for attaching to concrete in submerged water and chemicals, such as salt water and chlorine. Item is always in stock. Orders will ship the same day they are received and will be delivered in 1 to 3 days. 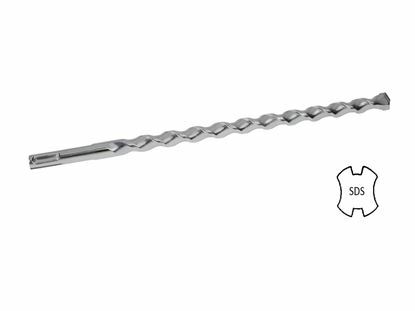 Minimum unsupported edge distance is 2-1/2"
The length of the anchor is 5-1/2"
The length of the threads on the anchor is 1-1/2" in length. 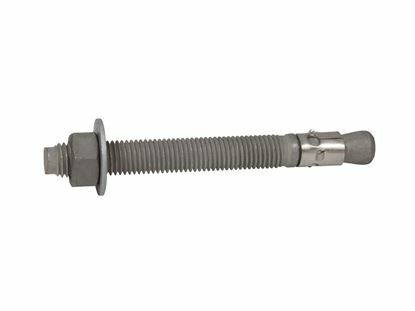 The minimum anchor embedment into the concrete is 2-1/4". Therefore, the anchor must be installed so that a minimum of 2-1/4" of the anchor is embedded into the concrete. 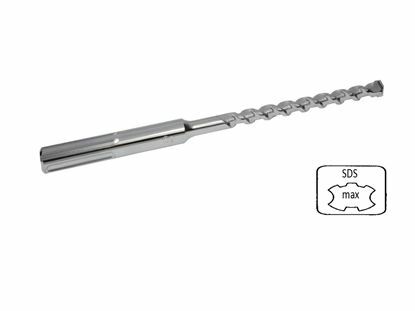 The maximum fixture thickness or the maximum thickness of the material being fastened for a anchor is 2-1/2". This will ensure that the minimum embedment of 2-1/4" will be met. To be set properly in the concrete, the anchor must be torqued to between 50 - 60 ft./lbs. Each anchor must be spaced a minimum distance of 5" from each other when measured center to center. It is very important not to install the anchor any closer than 2-1/2" from an unsupported edge of the concrete. 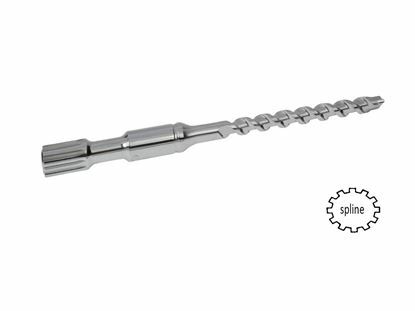 Flush With Concrete - when the anchor is set flush with the surface of the concrete, add the thickness of the material being fastened to the thread length of 1-1/2", and then add the space for any washers used. Below Surface of Concrete - add the depth below the surface of the concrete to the thickness of the material being fastened, then add the space for the washer, and, finally, add 1-1/2" for the thread engagement. 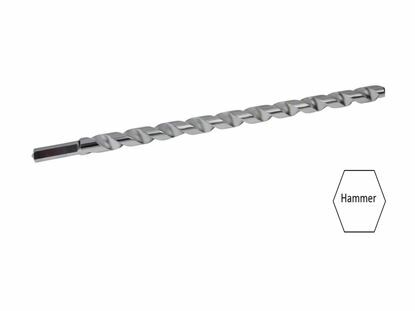 The anchor is stamped with the letter I on the threaded end to allow inspection of the anchor after installation. The letter "I" designates an overall length of the anchor as between 5-1/2" up to, but not including 6" in length. The hole can be drilled while the fixture is in place. 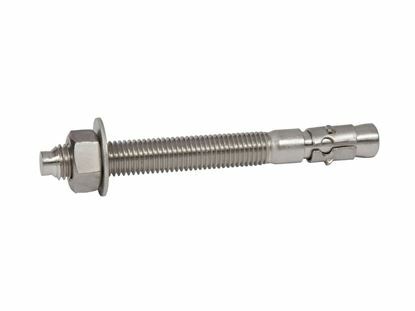 The minimum hole in the fixture for the 1/2" x 5-1/2" (three one six) 316 Stainless Steel Thunderstud Wedge Anchor is 5/8". 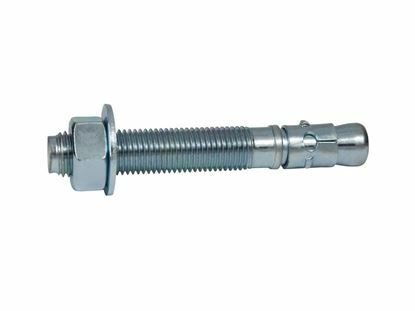 Put the nut and washer on the 1/2" x 5-1/2" (three one six) 316 Stainless Steel Thunderstud Wedge Anchor, making sure the nut is on the last threads; this will protect the threads from damage when the wedge anchor is hammered into the hole and into the concrete.